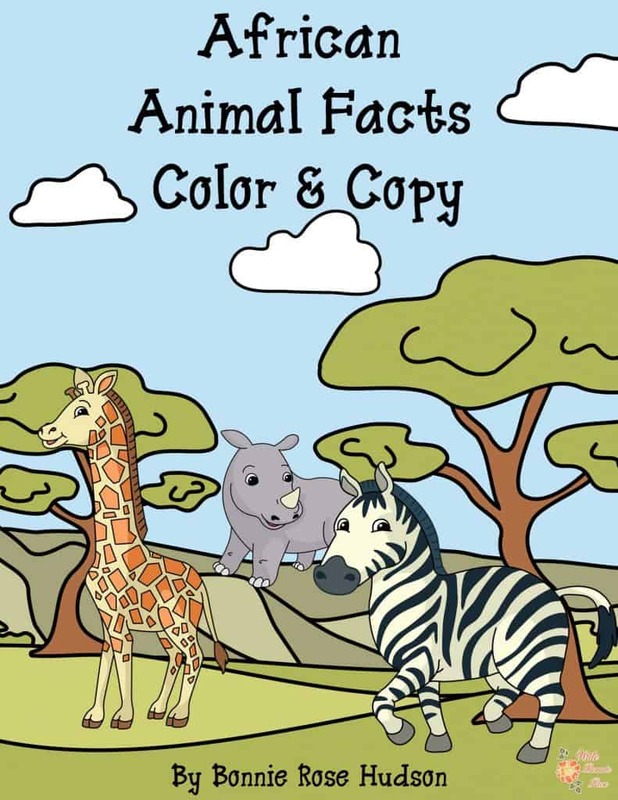 African Animal Facts Color & Copy includes a short description of the animal that can be read aloud or independently, handwriting practice with key facts about the animal, a notebooking page, and a coloring page. Have fun learning about the African wild dog, antelope, black mamba, crocodile, elephant, giraffe, hippopotamus, leopard, lion, monkey, ostrich, rhinoceros, and zebra. Limited time freebie! Get your Free African Animal Facts Copy & Color today!